One of the key ways in which the Tyne Catchment Partnership works is through regular meetings of the whole Partnership. These meetings are used as a way to share information and opportunities, for members to gain an understanding of the range of issues and activities across the catchment, and to facilitate the building of relationships between members. The notes taken at each meeting are here to download, along with a brief summary. Discussions were held on the following subjects: South Tyne sub-catchment, WEIF funding, WEG and update on Highways England funding. Discussions covered the following topics: Activity Plan and Log, South Tyne catchment, Team valley projects and River Don progress. Notes of the meeting can be found here: Tyne Catchment Partnership notes 14 September 2017_final. 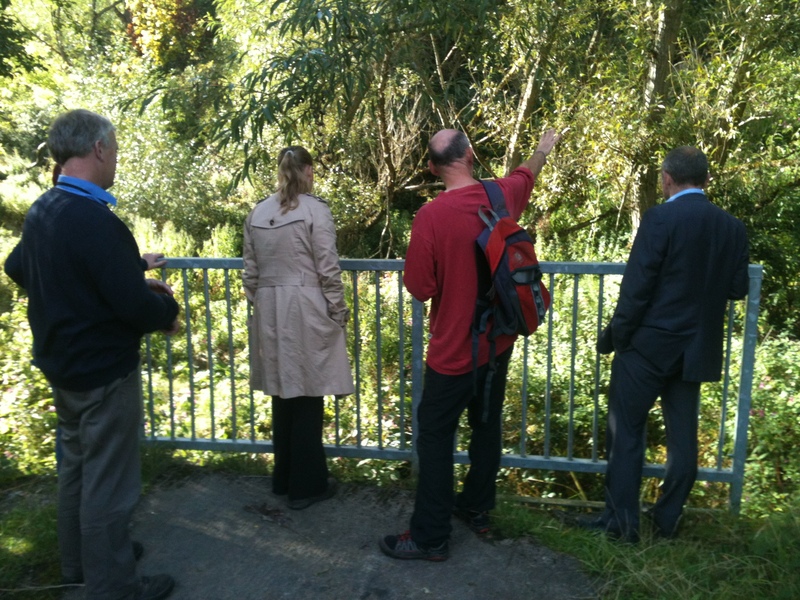 Discussions covered the Adopt-a-Stream project, The Skill Mill, the Urban Observatory, Partnership projects including the River Don and Ouseburn projects, the Partnership’s Activity Plan, and the River Team flood alleviation scheme. 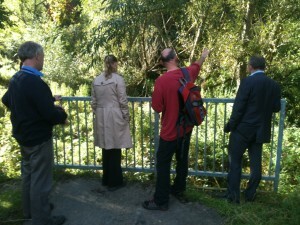 Following the meeting some partners attended a site visit to the River Team flood alleviation scheme. The meeting provided a Catchment Based Approach update, including national and regional matters, given by the EA catchment team. Catchment Partnership members gave an update and key highlights of projects / activities / opportunities, and the meeting concluded with a presentation by Graham Holyoak of Tyne Rivers Trust on the development of the Adopt a Stream project. Notes of the meeting can be downloaded here: Tyne Catchment Partnership – notes of workshop 14 October 2016. The meeting included updates from the Environment Agency as well as a session where we added flesh onto our own Action Plan / Terms of Reference. The meeting is being combined with a River Don Corridor meeting being organised through the North-East Local Nature Partnership. Here is a copy of the Environment Agency’s (Graeme Hull’s) presentation (about Highways England, the Medium Term Plan and about sending evidence to the investigations team). Here is a copy of the “achievements to date” page that Susan circulated, and here is a the 7-page presentation (given to the local liaison panel) it was drawn from. Here is a copy of the notes from the meeting. “Working together to benefit the people, wildlife and habitats of the Tyne Catchment’s river environments”. Using resources to best effect and coordinating activities on a catchment and sub-catchment level. The meeting was called because Catchment Partnerships had been asked by the Environment Agency to submit project ideas to the Medium Term Plan. A total of 23 projects were discussed. Similar projects were co-ordinated together, with a ‘lead’ identified, in order to meet the deadline. This resulted in a well thought-through submission to the Environment Agency by the end of April. Minutes 16th April 2015. On the 9th July, the EA’s Area Manager wrote to thank us for our excellent work to identify the best opportunities. (In July 2015, we drafted this page about our contribution to WFD outcomes, for inclusion in the Environment Agency’s River Basin Management Plan).